I have been so busy lately that my blog is neglected!! Today I went on a couple hour hike in the mountains just above my house...well we had to drive for 30 min but it was great. Shaded pathways, bubbling stream, the company of my daughter. We went 2 miles and it was uphill all the way. I really enjoyed the peacefulness even if I was huffing and puffing to get up the hill. We ate our lunch by the stream and then headed back down the trail. Much easier than up, that's for sure! 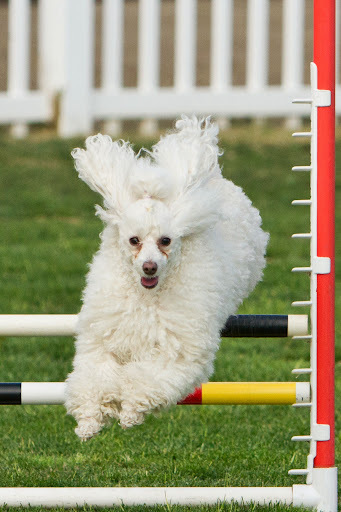 After that we drove quite a way to go see a dog shoe that I am interested in competing in. 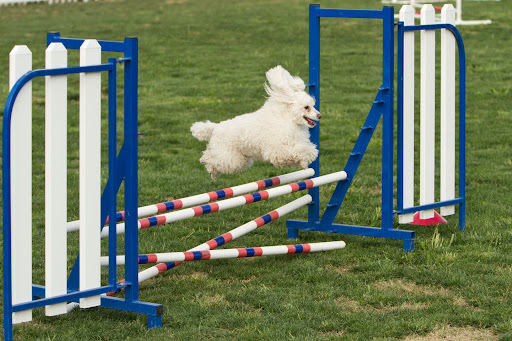 I am definitely signing up for the next agility trial at City of Industry. Only 40 min away from home and in a covered arena. Not too hot for my puppy. Here is a pic from out first trial. We have our first title Novice Jumpers. Next we show in the open catagory a bit harder but we are ready for the challenge!! I did get to sew up some hexies while she was driving!